A Number of Fixes and Minor Enhancements. We have added a new process to allow you to record Top-up business for existing pension and investment policies. You will be able to record the “Top-up amount”, “Date of Top-up”, “Written By” as well as enter any new commission expectations. You will also be able to generate dedicated Frameworks for your “Administration” and “Compliance” work. 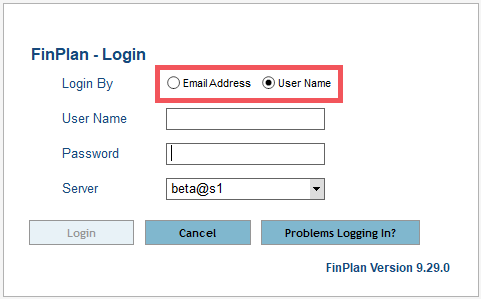 To make things easier for you we are changing the way that you log in to FinPlan. In future, you will log in using your email address. This removes the need for you to remember a separate username and password for each of your logins. Once you have received the update you will see two new options on the Login screen. 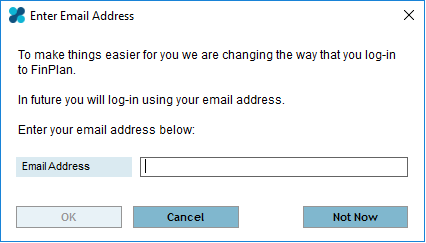 Email Address – this option is used once you have registered your login email address. User Name – this option allows you to log in using your existing user name and password. Initially, you should leave option 2 “User Name” selected and log in as normal. You will be asked to enter your email address. Once you have entered and verified your email address, you should make sure that “Email Address” is selected on the Login screen, then enter your email address and your existing password. If you have multiple user accounts, these are being aggregated prior to the login changes being made. If you experience any difficulty with your usual login process, please try to log in again using your other account password. Should you have any questions, please contact the Service Desk who will be happy to help. As part of the log in enhancements, we have improved the audit for member system access from Head office users. Those users operating from the Head Office of a network will now be prompted to record the purpose of the member system access. All activities performed within the member system will be audited with the Head Office user’s name. These enhancements greatly improve the audit trail and help networks meet their GDPR compliance. This change only affects Network Head Office users. We have added the ability to attach templates to Portal messages within frameworks. This will allow you to quickly communicate with your clients via the Client Portal. You can attach welcome packs and any information packages that you would like to send to your clients for their information. The message and the files will then be uploaded straight to the Client Portal, from where your client will be able to view and respond to your communication securely. 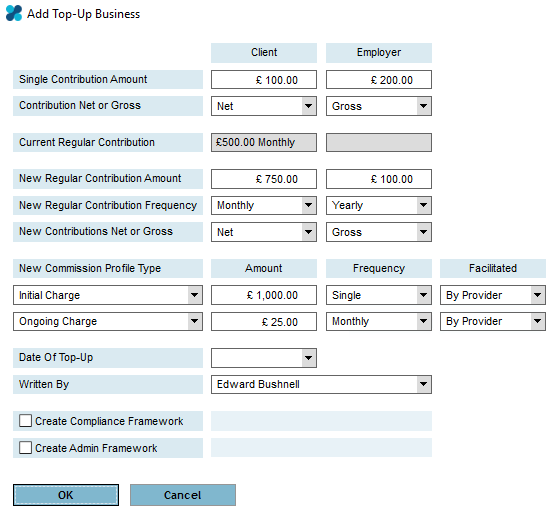 We have added the ability for users to add a partner to a client while going through an enquiry. This will give users the ability to quickly and effortlessly add the existing partner (in the case of a joint client) or a completely new partner (in the case of a single client) without having to close the existing enquiry. A new feature has been added on the Client Details and Mortgage Requirements pages on a Mortgage Enquiry and on the Client Details page on a Protection Enquiry. 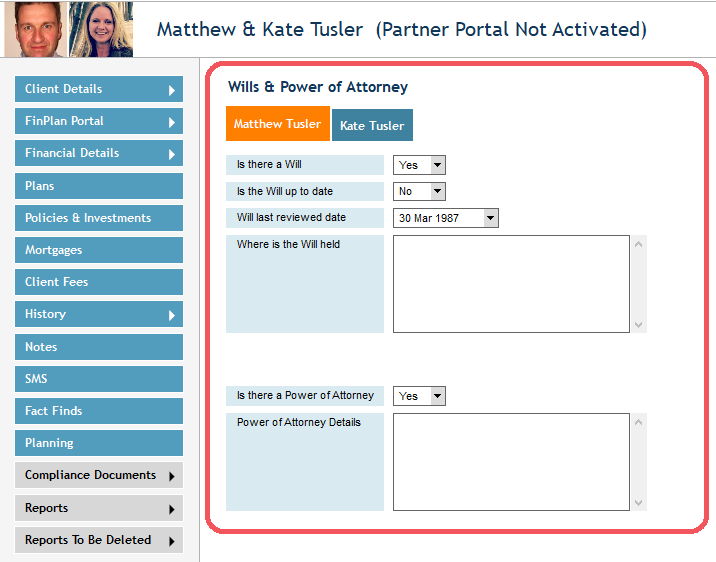 This new feature allows the user to add a partner while completing the normal enquiry process. This could be a completely new Partner which was not recorded in FinPlan previously or it could add the existing Partner onto the enquiry. These options are also available on Client Reports as columns and filters on the reports allowing you easy access to this information. We have added the ability to edit the subject on Portal Messages sent from within a Protection or Mortgage Solution. The subject will automatically be entered as “Your Mortgage Quote Details” or “Your Protection Quote Details” depending on the enquiry type. You will now have the ability to edit this Subject line. We have added the ability to send your clients SMS notifications to accompany Email notifications when you have sent the client a message or a file securely to their Client Portal. 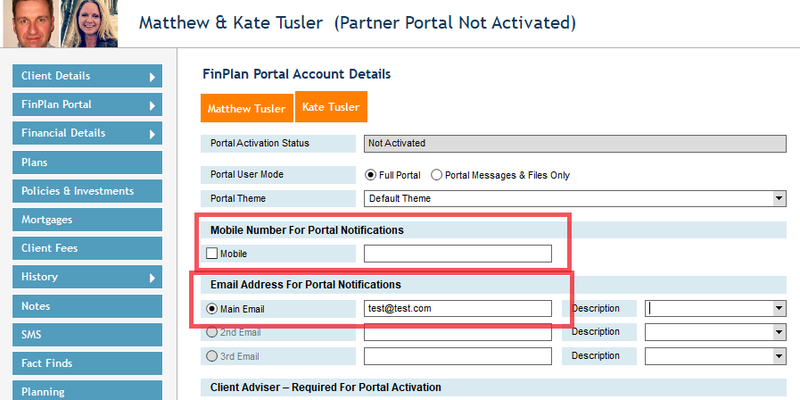 To activate this feature, you will need to tick the “Mobile” option under “Mobile Number for Portal Notifications” on the FinPlan Portal Account Details page on a client file. This section allows you to send notifications by Email and SMS simultaneously. The SMS message will reference the email notification, which will provide your client with a link to access the message or file that you have sent. We have added, “Sale of Other Property” as a “Repayment Vehicle” for “Interest Only/Split”mortgages. To improve the reliability of our software update process, we are changing the way that software updates are installed on your PCs. In the vast majority of cases, the software update will automatically download and install. The update process will ask you to remove the previous version of the FinPlan software. 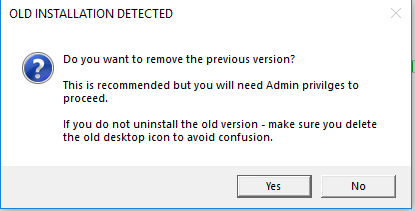 You should select Yes on all three of the popup messages to remove the previous version of FinPlan. In rare cases, your IT support may have locked down your PCs or network. This may prevent the update from installing. If you do not have any form of IT support then it is unlikely that any such changes have been made, and you will not need to take any action.